Sunderland fans has paid tribute to their new favorite manager, Paolo Di Canio. In the video below, a group of jubilant fans gather and sing the song “I Want Dirty Knees Too” for their Italian manager. 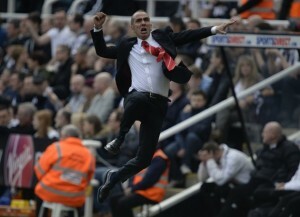 Looks like Paolo Di Canio has won the hearts of the Sunderland fans. Lets just hope that he can maintain the momentum for the Black Cats in their bid for Premier League survival. In the meantime, enjoy the video.